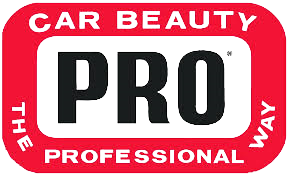 For more than 70 years, BAF Industries has been manufacturing and distributing PRO® Products to automotive dealerships, detail shops, car washes, auto auctions and body shops. Unlike other automotive appearance product companies, BAF Industries manufactures all of their own products. I-CAR, the Inter-Industry Conference on Auto Collision Repair, is an international not-for-profit organization dedicated to providing the information, knowledge, and skills required to perform complete, safe and quality repairs. I-CAR's focus is to provide everyone involved in collision repair with access to high-quality, industry-recognized training solutions. I-CAR also encourages and supports ongoing conversations in the industry on issues that impact collision repair. From high productivity collision repair to process-driven manufacturing applications, Martin Senour offers a solution for all applications, and for all levels of production. In the U.S., there are over 57 distribution centers, 16,000 NAPA AutoCare Centers and more than 6,000 independently-owned and company-owned stores that offer more than 500,000 parts for automotive and industrial applications. Made from a series of optically enhanced automotive paints containing special combinations of highly reflective additives, the Rod & Restoration Custom Color Program features over 200 stunning, radical, multi-dimensional finishes that are color shifting, iridescent, illuminating and shimmering in their texture. 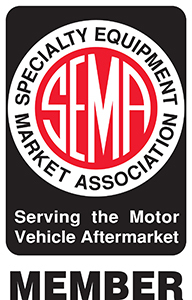 The Society of Collision Repair Specialists (SCRS) has been the largest national trade association solely representing and dedicated to the hardworking collision repair facilities across North America. SCRS was founded on the principles that through working together, collision repair facilities could inspire positive advancement in our industry. Since its formation, SCRS has provided repairers with an audible voice, a strong presence and an extensive grassroots network of industry professionals who strive to better our trade. The Silverton Chamber of Commerce invites visitors to come see and take part in local events and to get acquainted with and patronize local businesses. They are a welcome resource for questions regarding the area: schools, medical facilities, worship, climate, taxes, livability and more.